Roseanne Barr broke down in tears in a new interview during which she continued to apologize for tweeting a racist remark by comparing a former Obama adviser to an ape. "I have to get a hold of myself," Barr, 65, said at one point through tears during her interview with her longtime friend, Rabbi Shmuley Boteach, which he put on Soundcloud. "I horribly regret it. Are you kidding? I lost everything, and I regretted it before I lost everything," she continued. "And I said to God, 'I am willing to accept whatever consequences this brings because I know I’ve done wrong. I’m going to accept what the consequences are,' and I do, and I have." Barr added, "And I’ve made myself a hate magnet, and as a Jew, it’s just horrible. It’s horrible." 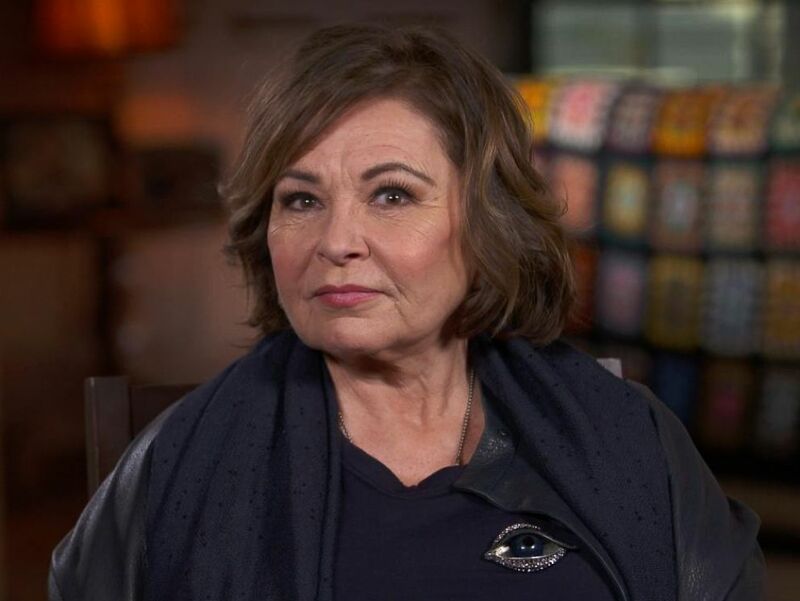 Roseanne Barr played herself on "Roseanne." Barr's May tweet, which has since been deleted, said that Valerie Jarrett, who is African-American, was a product of the Muslim Brotherhood and "Planet of the Apes" -- "muslim brotherhood & planet of the apes had a baby=vj." She apologized to Jarrett the same day along with the cast of her since-canceled ABC reboot, "Roseanne." The comedian revealed during the interview that ABC asked her to leave Twitter after the incident if they were to keep working with her and she refused. She also repeated a claim that she was on sleep medication Ambien when she fired off the tweet. Barr also revealed that she didn't realize Jarrett was African-American. "I thought she was white," Barr said during the 35-minute conversation with Rabbi Boteach. "I didn't know she was black and I cop to it." Barr added tearfully, "I have black children in my family. I can’t, I can’t let them say these things about that, after 30 years of my putting my family and my health and my livelihood at risk to stand up for people." Roseanne Barr on the show. "I’m a lot of things, a loud mouth and all that stuff. But I’m not stupid, for God’s sake," she said. "I never would have wittingly called any black person, [I would never had said] they are a monkey. I just wouldn’t do that. I didn’t do that." Barr said even though she feels misunderstood, she apologizes and feels remorse. "But I have to face that it hurt people," she explained. "When you hurt people, even unwillingly, there’s no excuse. I don’t want to run off and blather on with excuses. But I apologize to anyone who thought, or felt offended and who thought that I meant something that I, in fact, did not mean. It was my own ignorance, and there’s no excuse for that ignorance." "You have to feel remorse, not just repentance," Barr continued. "You have to take an action in the world -- whether it’s through money or other things -- to correct your sin. After your heart is unfrozen and after it stops being broken from the pain you caused others, you stop being a robot and you gotta' come back to God. So it’s remorse, and I definitely feel remorse." 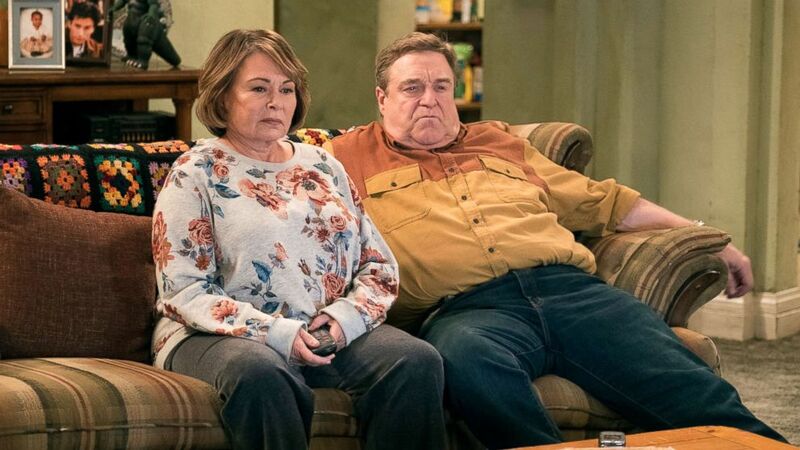 ABC, meanwhile, announced this week that it will launch a spin-off of "Roseanne" called "The Conners" without Barr but with the rest of the cast. The show is set to debut in the fall.